After all work done, the main event came, we prepare as we could, with t-shirts, buttons, stickers, 2 Desktop and 2 Notebook computers, were we show all the specs and beauties of Fedora. Abel Martinez join us on the event and took some of the installations, four of them while I help on the booth, solving all questions and talking to the audience. Our staff help a lot on the Fedora booth as I run all over the place meeting people and answering questions. 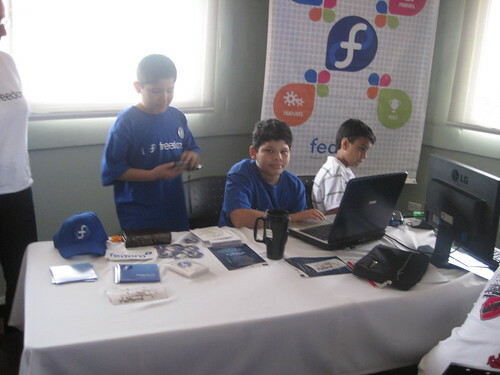 It was fun with over 120 people, over 50 Fedora 12 DVD's and CD's were give away, also some stickers and t-shirts, we also create some LiveUSB. 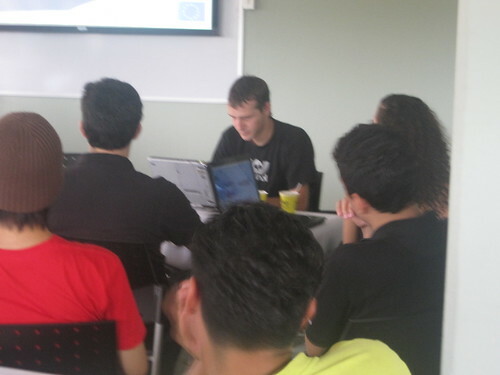 It was the first Flisol for Fedora on Panama we make the must of it and have lots of people interested. Our Blue corner was a busy one with so many people asking questions and every one helping others our. Thanks to all people who work hard on this event, I have ear that Santiago Flisol was good, I can wait to see some pics.